Why Wouldn't You Let Your Dogs Sleep in Bed with You? Is Dogs Sleeping in Beds a Good or Bad Thing? Sometimes you invite your dog into bed and sometimes they simply show up there and refuse to leave. Either way, sharing the space with a dog is far from strange. In fact, the American Pet Food Manufacturer’s Association estimates that 42% of dog owners sleep with their dog(s) at night. The way you sleep may be common, but that doesn’t mean it’s harmless for you or your pet. The debate about dogs sleeping in beds is split, but there are good arguments on both sides. Look at the situation from both sides before you next invite fido to snuggle. Companionship: For people that sleep on their own, there is an obvious appeal to having a big warm ball of fur co-occupying the bed. Security: A dog in the bed can create a sense of security, alerting people to possible dangers and serving as protection if necessary. Bonding: Many people believe that sleeping with a dog creates a deeper bond between animal and owner. Training: Some animal behavior professionals believe that when a dog sleeps in the bed it blurs the line between dog and owner and can lead to unruly pets. Germs: In rare cases it’s possible for a dog in the bed to pass germs along to the owner. Damage: Depending on the dog, it’s possible that urine or claws could cause damage to linens or a mattress. Should You Let Your Dog in Bed? It’s your dog and your bed so the decision is entirely your own. But be sure to consider the quality of your sleep. Your dog might be enhancing it. But if he is keeping you up at night by hogging the mattress, getting rambunctious, or emitting “unpleasant” odors, it might be worth reclaiming your mattress for yourself. 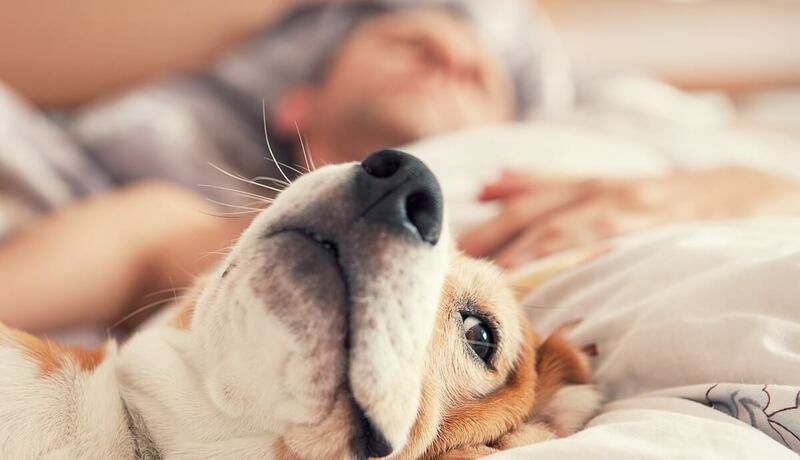 There is a reason your dog wants to share the bed – everyone would prefer to sleep on a soft and supportive mattress. 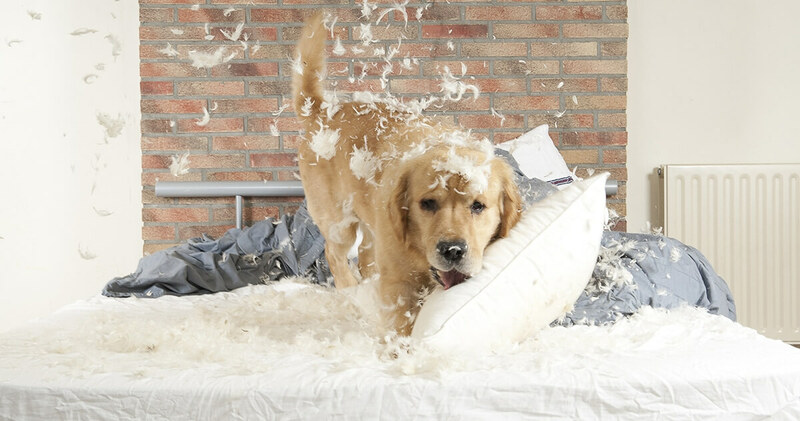 If yours is overdue for an upgrade and it’s keeping you or your four-legged friend up, work with the team at Beloit Mattress. Use our free eBook to help you find the right mattress.